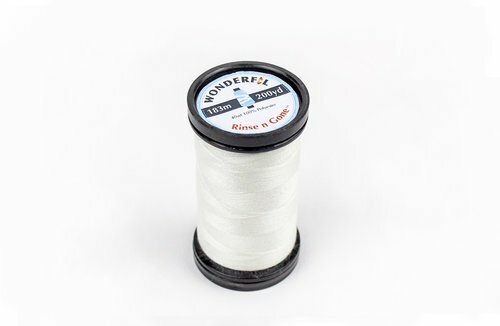 Rinse 'n Gone is a 40-weight water-soluble polyester thread. This time-saving thread is a favourite for basting hems, positioning zippers and pockets, ease stitching and any temporary placement. Simply rinse the project in room-temperature water or brush it with a wet toothbrush to make the thread disappear!